After an impressive third round win over world title challenger Daulis Prescott, Puerto Rican prospect Subriel Matías (9-0, 9 KO’s) from the Maternillo neighborhood of Fajardo has a big test in his young career when he faces the Mexican puncher Adrian “Diamante” Estrella (28-1, 24 KO’s) on Saturday, May 19 at the Pedro “Perucho” Cepeda ballpark in Cataño, Puerto Rico. The Matías v. Estrella bout is scheduled for 10 rounds in the junior welterweight division (140 pounds). “Subriel is the most developed prospect in Puerto Rico. They told us we were crazy when we put him up against Jeffrey Fontánez, but Subriel knocked him out in two rounds. In each fight, we raise the quality of the opponents and he continues to dispatch them easily. His fighting style confuses his opponents with his various rhythms and power in his punches. I understand that on May 19, he will show that he is at a great level”, said promoter Juan Orengo of Fresh Productions, who also promotes the career of the highly-ranked boxer Emmanuel “Manny” Rodríguez, who will fight on May 5th in London for the IBF bantamweight world title against local and former champion, Paul Butler. With only nine fights in his professional history, Matías has strong victories over the world title challenger Daulis Prescott of Colombia, former Venezuelan Olympian Patrick López, the rising prospect Fontánez of Puerto Rico, and the strong Brazilian puncher Joaquim Carneiro. Estrella, on the other hand, has victories over former world champions Celestino Caballero, DeMarcus Corley and over world title contenders Balweg Bangoyan and Dante Jardón. In another of the stellar matches of the card, Abimael “Manos de Piedra” Ortiz (5-0-1, 3 KO’s) of Cidra, will face former London 2012 olympian Jantony Ortiz (8-0, 4 KO’s) of Humacao, in a duel scheduled for eight rounds at 122 pounds. 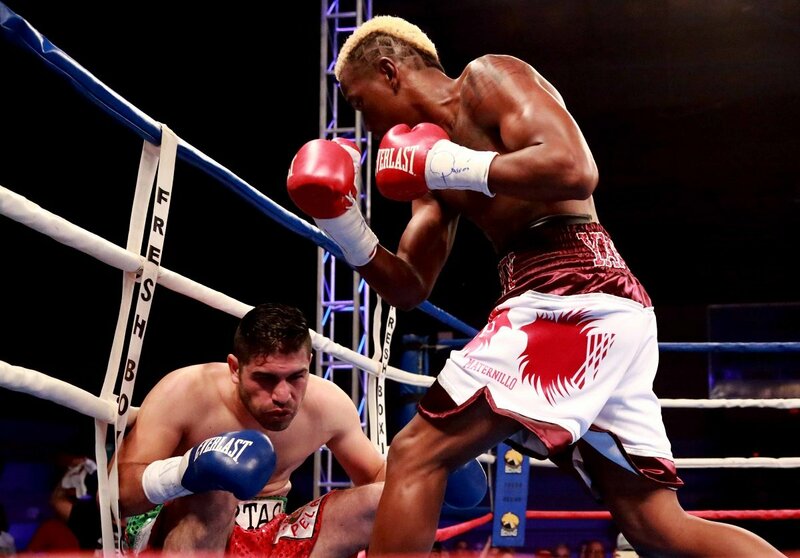 In his last performance in February, Abimael Ortiz defeated local fan favorite Josean “El Tren” Figueroa (Miguel Cotto Promotions), who fell by technical knockout in the eighth round. On the other side, Jantony Ortiz defeated Dominican Lucián González by unanimous decision in his last fight in March. The combined record of the fighters of these confirmed stellar fights is 51-1-1 with 40 knockouts. Information about the remaining fights and the tickets sales will be available soon.